We will meet at the parking area behind the central werf. Approaching the werf via the stone pine lined avenue, turn left at the end of the avenue and then immediately right into the parking area. Take N1 to R44. Take exit 47 from N1 Take Klapmuts – Simondium Rd and Franschhoek Rd/R45 to Pniel Road. Turn right into Pniel Road, and then left into Boschendal Wine Estate. Allow 45 mins to 1 hour to get there. 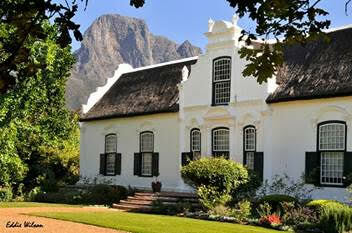 Boschendal werf is one of the most iconic werfs within the Cape Winelands. It was one of the farms consolidated into Rhodes Fruit Farms in 1897. In 1969 Anglo American purchased RFF to become Amfarms for the next 31 years. In 1976 the homestead, outbuildings and gardens were restored to their 19th century appearance under the supervision of Gabriel and Gwen Fagan. 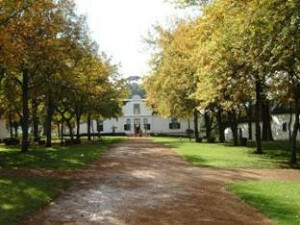 Boschendal werf was declared a national monument in 1979. In the late 1970s it was established as a museum and tourism facility, one of the first establishments of its kind in the Cape Winelands. The wine cellar was adapted for use a restaurant. In 2003 a consortium of investors (Boschendal Ltd) purchased the Boschendal farms. The walkabout will highlight some of the conservation principles of the 1970s restoration. It will also focus on the conservation principles used to guide the recent upgrading of tourism facilities including restaurant facilities, the new function venue and adaptive reuse of cottages for overnight accommodation. Recent landscaping interventions within and around the werf will also be explored. Situated to the north of the Boschendal werf at the intersection of the R45 and the R310 is the old Rhodes Fruit Farms factory precinct. There are proposals to develop a village node on this site. The walkabout will view the site from the werf, discuss the proposals in general and point out key heritage issues. Sarah Winter has a background in archaeology and town planning. As a heritage planner she has worked extensively in the Cape Winelands over the last 20 years and has a specific interest in cultural landscape assessment. She has been a consultant on various projects at Boschendal since 2005. VASSA outings are for paying members only!